Ireland is falling behind in the solar power race - can we catch up? Is it time to embrace the technology? IRELAND IS STRUGGLING to reach its 2020 target for renewable energy. As previously analysed, while Ireland has a “good chance” of meeting this 16% goal, it’s going to require a rethink of current policies. Right now we’re obsessed with wind, building more and more turbines across the country and slowly increasing the amount of power we’re able to harness. We also have a healthy mix of just about everything else. But one thing completely absent in our fuel mix is solar photovoltaic (or solar PV). We have 1MW capacity installed, enough to power 300 homes at a push, but none is used for the national grid. The United Kingdom, who provide some of our electricity needs, has a capacity of around 500MW installed. Germany currently has almost 35,000MW installed, meeting close to 7% of its national energy needs. Ireland is a windy country perfect for wind turbines, but it also have a capacity equal to many of our EU counterparts when it comes to solar. The cost of the solar PV cells has come down rapidly in price over previous years, putting a once expensive technology within reach of everyday consumers. Some believe targeting individual households will be key to boosting Ireland’s solar capacity. A grant scheme exists for those who want to use solar thermal systems, which is used for heating rather than electricity production. Kate Ruddock from Friends of the Earth noted that across Europe, homeowners are able to make money from solar panels using Feed-in Tariffs. Excess power is fed back into the national grid in return for a few pennies. “There is also no microgeneration feed in price at all. So if you are a small generator, or a domestic scale producer, you cannot sell your surplus electricity to the grid. Solar is the perfect micro technology,” she explained. Anyone with a roof could install solar PV, use the electricity they generate for their own needs, and then sell the rest, meaning that they then offset some of the costs of buying electricity at night, which would make the investment worth while. However, experts are hesitant to say we should throw ourselves head-first into developing this form of renewable energy. It’s not going to be a straight-forward task to add solar to Ireland’s fuel mix. 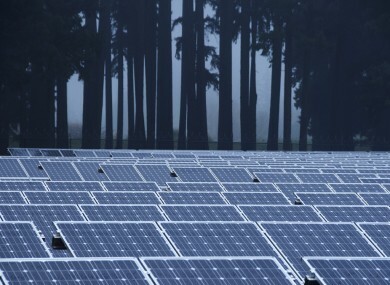 Mark O’Malley, ‎Director at Electricity Research Centre and the UCD Energy Institute, said that while Ireland has a handful of commercial projects and a few spots of rooftop solar installed, further analysis is needed. “Given the early stage of solar deployment in Ireland, work remains both for industry and the research community to determine the costs and benefits of adding solar to our energy mix,” he said. In particular, we’re interested to examine the interplay between solar and wind generation, given the potential complementary effects of adding solar–generated during the day–to Ireland’s wind resource, which can be strong during the night. And Feed-in Traffifs? O’Malley said these “allow solar generators to become profitable more quickly, and offer a degree of certainty that is attractive to investors”, and are likely to speed-up Ireland’s adoption of the technology. Minister for Energy Alex White was pressed on the topic of these schemes in the Dáil recently. My Department is currently considering the responses to the public consultation on the Green Paper on Energy. The Green Paper, inter alia, sought feedback on the role that alternative technologies, such as solar, could play in delivering our renewable energy ambitions. Views received will be taken into consideration in the preparation of the White Paper on Energy which will be published in September. The Minister said the cost and feasibility to including any new technologies in this scheme is key, but that more renewables are needed “given the emerging policy context and the requirements of the EU internal market for electricity”. Email “Ireland is falling behind in the solar power race - can we catch up?”. Feedback on “Ireland is falling behind in the solar power race - can we catch up?”.